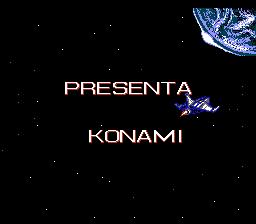 If you were a fan of Gradius or Life Force (Salamander), this game is a must play if you have not tried it already. 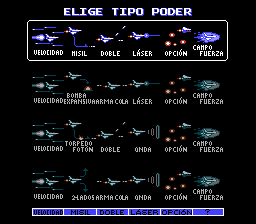 You can also customize the load out of the Vic Viper so it gives options to what you want for weapons instead of the typical normal choices you had with Gradius. 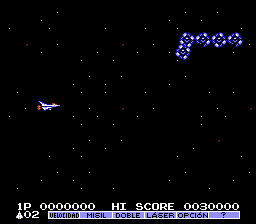 Gradius II also offers a great challenge also as it throws numerous enemies at you in each stage, much greater than its predecessor and also a much better graphical layout overall. 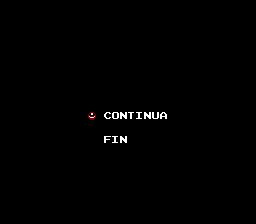 If you like side-scrolling space shooters, definitely pick this one up to play! 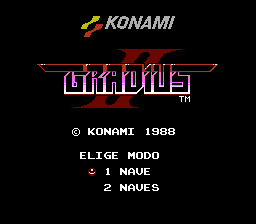 Translation to Spanish for “Gradius II” for the NES.